Know Her Better, Sell Her More! The Sephora Shopper is a must-read, one-of-a-kind generational analysis of the U.S. female consumers’ purchase influencers, shopping behaviors and buying patterns at the extraordinary beauty giant, including hundreds of data points and more than 25 detailed statistical graphics. Know the brands she loves, what makes her go over her budget limit when in-store and online, who she shops with, how often she shops, why she shops at Sephora and the special place in her heart for Sephora brands, and more. 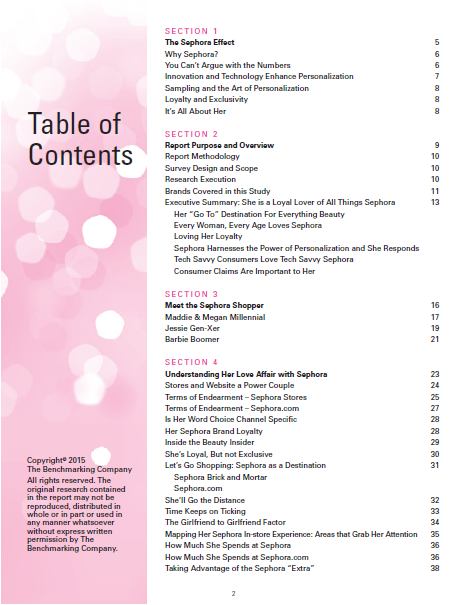 BONUS: Includes the eight things every brand needs to know if they want to sell at Sephora! The Sephora Shopper provides a detailed look at the U.S. female Sephora consumer, with extensive quantitative primary research. 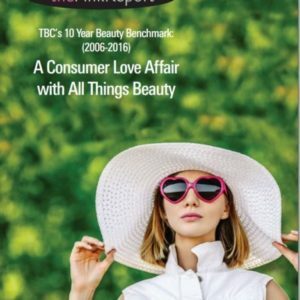 Thousands of U.S. women were invited to take part in these studies, with the first survey completed by 3,133 female beauty consumers who shop for beauty products either at Sephora stores, Sephora.com or elsewhere. 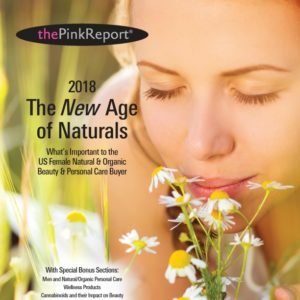 A secondary quantitative survey was created to validate data from the first study and to probe more deeply into attitudes and behaviors by these shoppers and was completed by more than 2,000 U.S. female beauty buyers. 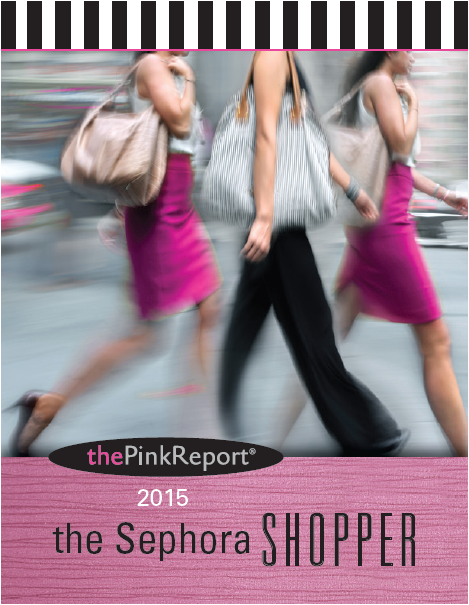 The 2015 PinkReport is an independent analysis of the Sephora shopper and was not commissioned or requested by the company. All analyses and investigations are independent and unbiased. 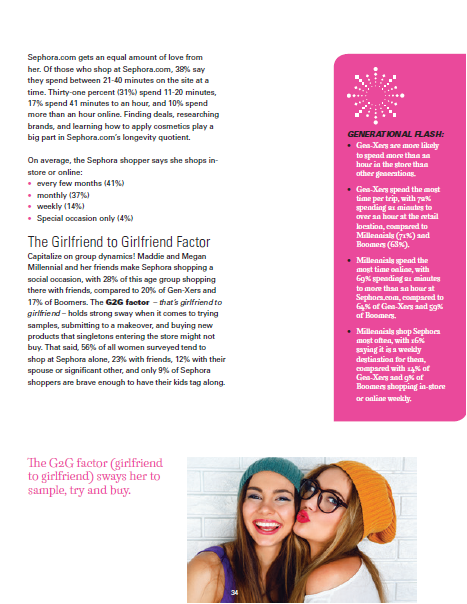 Unless otherwise noted, all statistics in this report are based upon a sample size of women noted above who indicated they shop at Sephora or Sephora.com.